Zhejiang Huzhou Jinlaite Aluminium Co.,Ltd is founded in 1990. The company is located in Yangxi developing area of Zhili town,Huzhou province,where is one of production bases of aluminium sections in china. It has an area of 10000 square meters,and have 200 staffs. 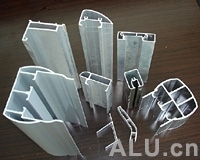 We professionally produce various types of industrial and civil aluminium alloy profiles, aluminium alloy radiator, 6063,6061,LY12 and so on. The products are all to sell to Jiangsu,Zhejiang and Shanghai. This company persisted in "the management is the root, the quality is the base, the service is the road" for the quality policy. Welcome to the company.